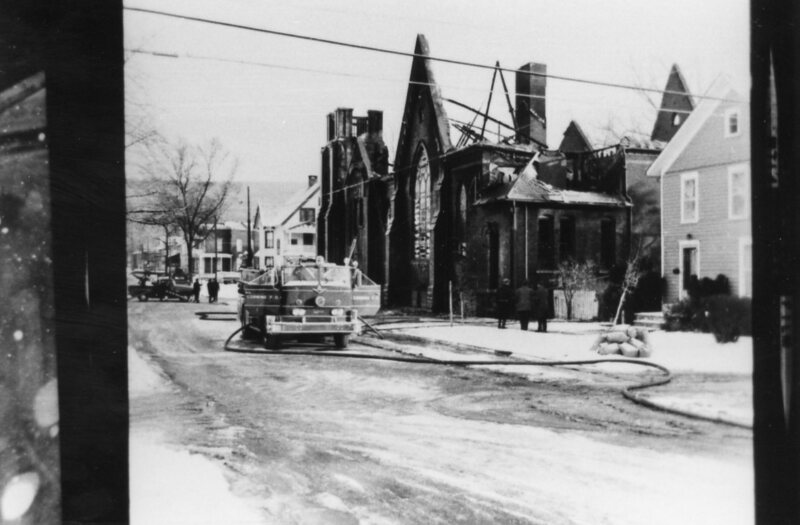 Our first photo for this week shows a local church in the aftermath of a fire. By looking at the cars I would guess the photo might have been taken in the late fifties or early sixties. If you recognize when the photo was taken or have any info regarding the fire, please let us know. 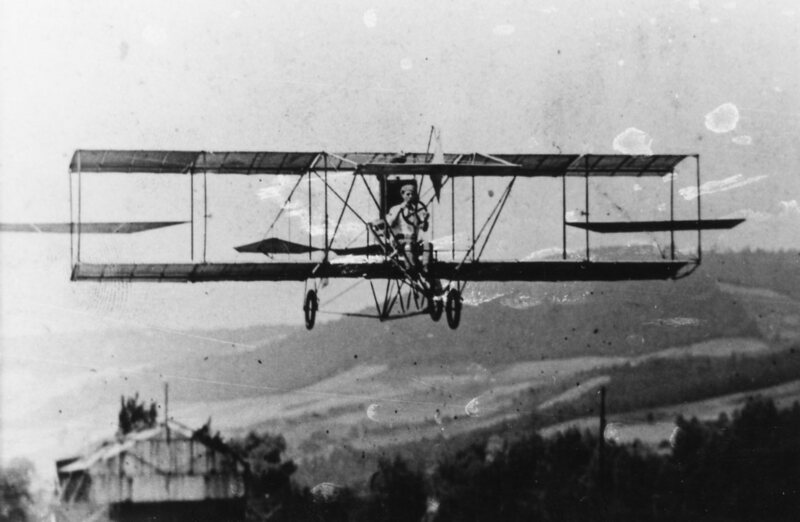 Our second photo for this week is of an early aircraft flying somewhere in our area — who is flying the plane and when and where the photo was taken remain a mystery! If you know any stories about the history of flight in our area, please feel free to share them! And if you know anything about the photo, please freel free to share that info too! I believe the location of the church fire shown in the photo was East First Street and Wall Street, 105 East First Street. It is the site of the current First Baptist Church.